Peel eggplant, and dice. Boil in salted water until tender. Drain and mash. Saute onion and celery in small amount of butter. Combine cheese, onion, celery, egg, parsley, and green pepper with eggplant. Melt 3 tablespoons of butter, and stir in Rtiz cracker crumbs. Layer eggplant mixture, crumbs, and salt and pepper in casserole, ending with cracker crumbs. Bake at 350 degrees for 30 minutes. Serves 4. 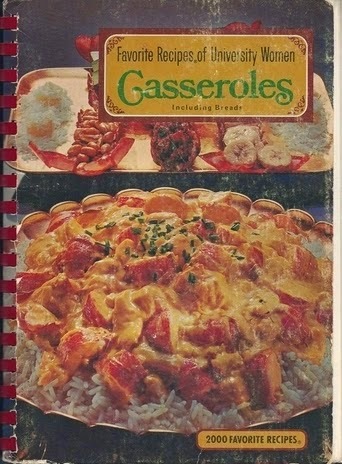 More "Lost" Recipes from "University Women Favorite Casseroles"